Call 8226 2464 before any construction work. 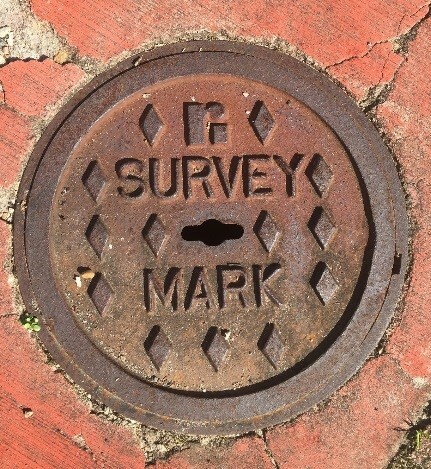 One call could protect a permanent survey mark and avoid a $2,000 fine. Permanent survey marks (PSMs) are major reference points placed by surveyors. Their long-term retention benefits the community by providing clear-cut restoration of property boundaries and the reduction in survey costs for construction and development. It is everyone’s responsibility to ensure that PSMs are protected. If you are conducting any type of construction or earth moving work, no matter how small, you must make sure that you do not damage, move or destroy a PSM. Under the Survey Act 1992, a PSM must not be disturbed without prior approval of the Surveyor-General. There is provision under the Act for fines of up to $2000 per PSM disturbed, damaged, removed or destroyed. It is important that PSMs remain visible and, under the Act, surveyors are able to break any surface, including driveways, footpaths and landscaped areas, to locate a PSM. PSMs are shown on survey plans with references to the boundary corner but do not mark the boundary corner. They are made of concrete blocks, approximately 200 mm square and 300 mm deep with a brass plaque or metal rod at the centre. Most PSMs are situated below ground level and are not easily identifiable. In urban areas, they may be covered with a steel lid. 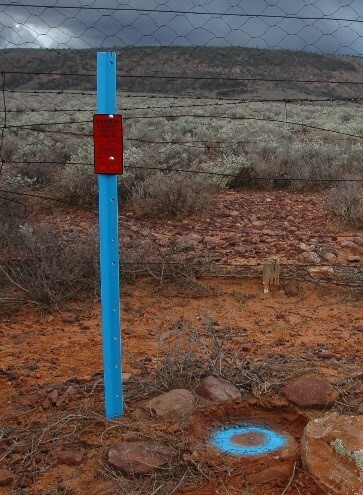 In rural areas, PSMs are often marked with a blue star dropper and red indicator plate. In the Riverland, many PSMs are concrete pillars 400 mm above ground level. 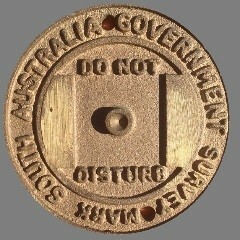 This makes them easier to locate and prevents them from being accidentally destroyed by machinery. 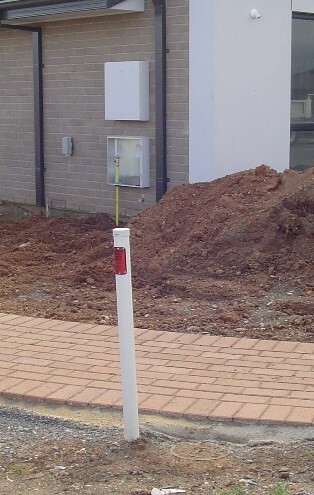 In areas being developed, they are usually marked with a white PVC post and red indicator plate with the location of the buried PSM shown on the red plate. There are no definite rules about where a surveyor will place a PSM. In urban areas, they are usually placed in footpaths near street corners and bends or next to the back of a kerb. Approximate locations of PSMs can be found from the Survey Mark dataset of the LocationSA Map Viewer. Horizontal coordinates, elevation and survey plan information relating to PSMs can be found on the South Australian Integrated Land Information System (SAILIS) Survey Mark search. Information relating to the codes in the Survey Mark search can be found in the Codes Descriptions (155.9 KB PDF) and Hundred Codes (109.0 KB XLSX) documents.